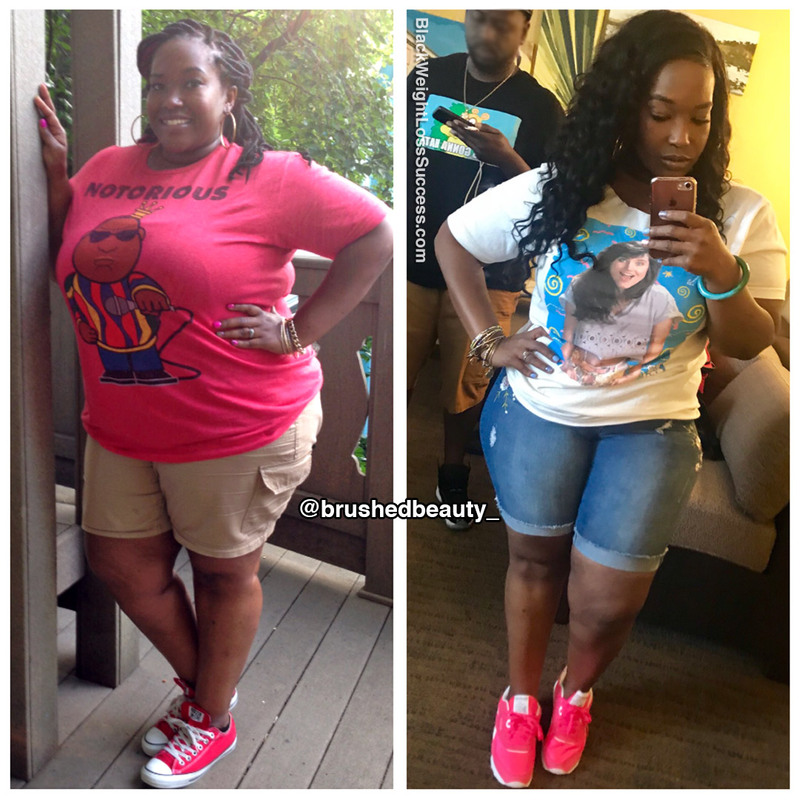 Transformation of the Day: Valisha lost 71 pounds. In the past, she searched for a quick fix solution. 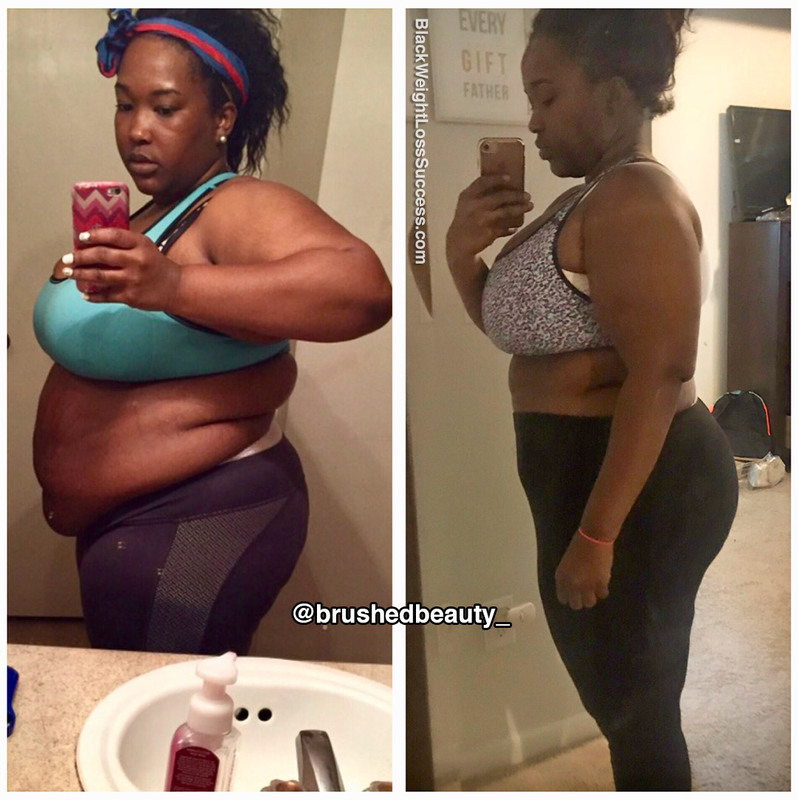 When she embraced releasing the weight the old-fashioned way, thru diet and exercise, she finally started seeing the results she was looking for. Check out her story. After the 1,356th time of attempting to lose weight…, and after a lot of blood, sweat, tears, muscle aches, cramps, and more tears… I have lost 71 pounds! I debated for a while about posting my story. I wanted to wait until I reached my goal of losing 100lbs and I was afraid of failure. However, I want to encourage someone else. I made up in my mind on March 3, 2016 that I was tired of being overweight, and I decided to make a lifestyle change. In the past, I tried every diet, vitamin, tea, pill, etc. to get results. I tried everything but the old fashion way because I wanted a quick fix! Eventually, I realized that this is a journey. I really had to embrace that. NOTHING WORKS, BUT WORK! I lost weight by chugging a gallon of water daily and working out 3-4 days a week. I also cut out carbs and sugars. I kept a weight loss journal and recorded everything I ate. I used to count calories, but I learned how to use portion control and focus on eating healthier items instead of junk. My starting weight was 308 pounds. My current weight is 237 pounds and my height is 5’4″. I’ve learned that weight loss is definitely a mental thing. Once you control your mind, you can control your body! There’s definitely more that I want to share. I want to help others reach their goals in the future. To whoever is reading this, I say start now. Don’t focus on what you have to let go or what you have to stop doing. Focus more on what you can incorporate; more water, more greens, and more activity. Wow! I am completely inspired by you. Look for my story someday.